(Calgary) Overwhelming majority of worldwide Islamic scholars have already individually declared ISIS/ISIL un-Islamic “out-siders” (KHAWARIJ) group. The attached Islamic edict (Fatwa) by the Canadian Muslim Imams and scholars is the first formal Fatwa in the world regarding ISIS/ISIL and its recruitment activities. Fatwa is the opinions of Muslim scholars based upon the jurisprudence of Islam. 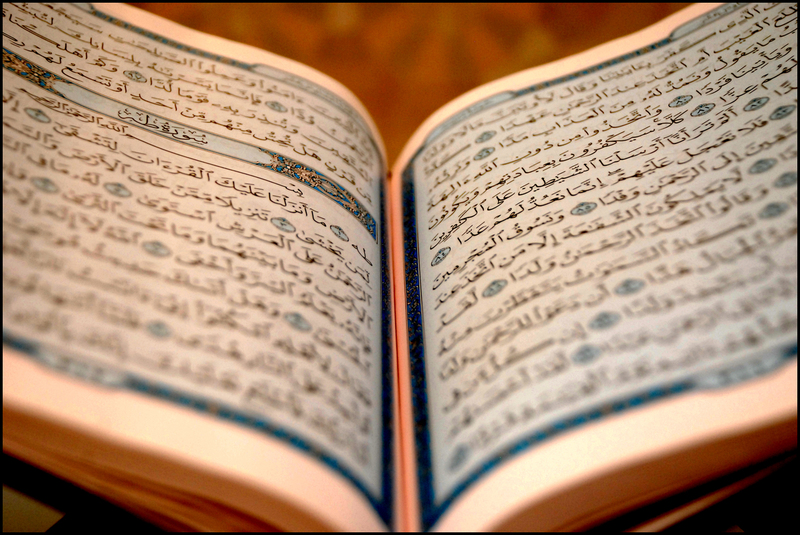 There are several sources of Islamic jurisprudence but the Holy Qur’an and Hadith of Prophet Muhammad (peace be upon him) are the main sources of Islamic Jurisprudence. This fatwa is based upon the clear guidance from Allah in the Holy Qur’an, the Sunnah of Prophet Muhammad (peace be upon him) and the consensus of overwhelming majority of Muslim scholars throughout the fourteen centuries of Islamic history. This Fatwa has been issued in order to help Muslims especially youth to understand what Islamic laws and ethics stand for and how ISIS/ISIL is violating those laws and ethics. The consistent and constant misinterpretation and misuse of the verses of the Holy Qur’an and Hadith of Prophet Muhammad (peace be upon him) by the ISIS/ISIL to control Muslim lands and people should be exposed and condemned. We hope this Fatwa will help Muslims and non-Muslims to understand what Islam requires from its followers. We also hope this Fatwa will help the Canadian government, Ministers and the Media not to link Islam, Muslims and Islamic terminologies e.g. Jihad with the violence and extremism caused by terrorists organizations like ISIS/ISIL. We encourage other Muslim Imams and scholars to endorse this Fatwa OR issue their own fatwa in order to help Muslims not to be misguided by ISIS/ISIL. For inquiry please contact Imam Syed Soharwardy at 403-831-6330 OR 416-994-5467. All Praises is due to Alláh, We praise Him and we seek help from Him. We ask forgiveness from Him. We repent to Him; and we seek refuge in Him from our own evils and our own bad deeds. Anyone who is guided by Alláh, he/she is indeed guided; and anyone who has been left astray, will find no one to guide him/her. We bear witness that there is no god but Alláh, the Only One without any partner; and I bear witness that Muhammad(peace be upon him), is His servant, and His messenger. May Allah’s peace and blessing upon you O’ the messenger of Allah (Peace be upon him). We, the undersigned Imams, are issuing this Fatwa based upon the guidance of Allah in the holy Qur’an, the Sunnah of Prophet Muhammad (peace be upon him) and the consensus of the overwhelming majority of the scholars of Islam over the last fourteen centuries. We are issuing this Fatwa based upon the responsibility that Allah has prescribed in the holy Qur’an and in the Sunnah of Prophet Muhammad (peace be upon him). When people see a wrongdoer and do nothing to stop him, God may well visit them with a punishment. There are several other verses in the holy Qur’an and there are several Hadith of Prophet Muhammad (peace be upon him) clearly warning Muslims that there are and will be people apparently claiming to be Muslims but who, in fact, will be imposters who deceive Muslims in order to destroy them. Muslims must not trust such individuals or groups. No Muslim ever heard the name of “Islamic State of Iraq and Syria (ISIS)” OR “Islamic State of Iraq and Levant (ISIL)” OR “Da’esh” (داعش) OR the names of its leaders until few years ago. The sudden appearance of hitherto completely unknown persons, trying to take over the Muslim lands and the leadership of the Muslims in the Middle East, is very doubtful and suspicious. A few years ago, ISIS/ISIL was created by the funding of Western countries to overthrow the Syrian regime. These strangers cannot be trusted. Their claim to establish a “Caliphate” (Khilafah Al-Islamiyah) is very suspicious, and cannot be trusted. The reasons are discussed later in this Fatwa. During the first century of Islam a similar group emerged in Syria and Iraq. They were extremely violent people who murdered many members of the family and the companions of Prophet Muhammad (peace be upon him). The SAHABAH and AHLUL BAIT (the Companions and the Family of Prophet Muhammad (peace be upon him) identified and isolated that group and called them “the outsiders” (KHAWARIJ). They did not accept them as a part of the Muslim community. The strategy that the Khawarij used to destroy the Ummah is precisely the same as that being used by the ISIS/ISIL and other terrorist organizations in current times. The Khawarij wanted to establish a “Caliphate” (Khilafah) based upon their own political agenda. Today, ISIS/ISIL is using the same word, “Caliphate (Khilafah)”, to misguide and manipulate Muslims. ISIS and other terrorists are using the policies of the United States and other Western countries in the Middle East as an excuse to control Muslim sentiments and then use them for their own political and personal gain. In our opinion, these aforementioned terrorist organizations are planted in Muslim countries to serve anti-Islam interests by deceiving Muslims in the name of Islam. We, the undersigned Imams, strongly disagree and condemn those policies of the United States, Canada and other Western countries in the Middle East which are completely unjust, based upon Islamophobia, bias and intolerance towards Muslims. We also understand and condemn the highly destructive and hateful role of the media in intentionally promoting intolerance towards Islam and Muslims. However, in order to counter the anti-Islam and anti-Muslim efforts, a Muslim cannot choose the path of ISIS or other terrorist organizations like Al Qaeda, Taliban, Boko Haram, Al-Shabab, Al-Nusrah, Lashkar Taiba, Lashkar Jhangwi, etc. There is very clear guidance in the holy Qur’an and in the Sunnah of Prophet Muhammad (peace be upon him) clearly guiding Muslims on how to handle anti-Islam and anti-Muslim aggression on the part of groups and governments. Under no circumstances Islam allows the following. The following actions are un-Islamic and completely forbidden. Capturing opponents; Muslim OR non-Muslim civilians and beheading them. Killing Muslims who disagree with beliefs and actions of ISIS/ISIL. Demolishing the graves of Prophets (peace upon them), Aulia Allah (Saints) and ordinary people. Forcing out Muslims OR non-Muslims from their houses and making them refugees. There are now more than eight million refugees because of the atrocities of ISIS/ISIL. Murdering Islamic scholars who oppose ISIS/ISIL. Encouraging Muslim girls and facilitating their travel secretly to Syria and Iraq to fight for an organization like ISIS/ISIL. Mutilating a human body alive or dead. Throwing enemy combatants or civilians from a height to kill them. ISIS/ISIL have committed all of the above violations in the most horrific and inhumane way. These actions are not allowed under any circumstances in Islam. Such actions are absolutely HARAAM (forbidden and major sin) in Islam and cannot be justified under any circumstances. Nor can the struggle of ISIS/ISIL be considered “JIHAD”. The clear guidance of Prophet Muhammad (peace be upon him) regarding armed struggle (war) is as follows. During a war (Jihad), a Muslim army cannot do the following. These are the Jihad ethics of Islam that no one has the authority to change. These are also the Sharia laws about Jihad that no one can change. Do not kill children, even if they belong to the enemy. Do not kill noncombatant men or women, even if they are from the ranks of the enemy. Do not kill elderly, sick or weak people, even if they are from the ranks of the enemy. Do not destroy the places of worship of any religion. Do not force people against their will to convert to Islam. War (Jihad) cannot be declared by individuals or groups of people. Only an Islamic government with its authority on a state can declare war (Jihad) if the state is being attacked. (Note: ISIS/ISIL was not a government of any state. They were created by western interests in the region to benefit western interests by removing the Syrian government.). ISIS/ISIL has violated all of the above prohibitions of Islam. They have disobeyed the Qur’an and the guidance of Prophet Muhammad (peace be upon him) therefore, their struggle cannot be an Islamic struggle and their war cannot be called “Jihad”. Rather, it is pure terrorism and HARAAM. The behavior and the actions of ISIS/ISIL has consistently proven that they are NOT Muslims and they cannot be trusted by the Muslims. The Messenger of Allah, peace and blessings be upon him, said, “There will be dissension and division in my nation and a people will come with beautiful words but evil deeds. They recite the Qur’an but it will not pass beyond their throats. They will leave the religion as an arrow leaves its target and they will not return until the arrow returns to its notch. They are the worst of the creation. Blessed are those who fight them and are killed by them. They call to the Book of Allah but they have nothing to do with it. Whoever fights them is better to Allah than them.” (Sunan Abu Dawud 4765). We warn all Muslims, especially the youth, regarding the very deceptive un-Islamic, criminal nature of ISIS / ISIL OR Da’esh (داعش). This organization has recruited several Muslim youth, girls and boys, by deceiving them in the name of the Khilafah (Caliphate). Some Muslim youth from Western and Islamic countries have been misguided by ISIS/ISIL (Da’esh). We urge all of them to repent to Allah and leave ISIS/ISIL immediately. Joining ISIS/ISIL and groups like ISIS/ISIL is HARAAM (forbidden) in Islam. Any Muslim who joins these KHAWARIJ (ISIS/ISIL) groups actually disconnects and disassociates himself/herself from the Ummah of Prophet Muhammad (peace be upon him). Any Muslim who joins ISIS/ISIL OR similar groups disobeys Allah and His Prophet Muhammad (peace be upon him). Any Muslim who helps, facilitates travel, provides funds or encourages a Muslim to join ISIS/ISIL and groups like ISIS/ISIL commits HARAAM. Such a person will not only be punished by Allah for misguiding Muslims but will also be responsible for the crimes committed by the people he/she has motivated. We strongly urge every Muslim, especially the youth, not to be influenced by the speeches, songs and the literature available on the Internet or on social media produced by the imposters pretending to be Muslims. This is a trap for young Muslims. They must visit their local mosques and discuss any questions or points of confusion with the Imam publicly. Any person who inspires people to cause harm to Canada and Canadians must immediately be reported to the Police. 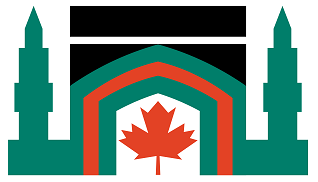 This is our Islamic duty, as Canada is a country where more than 1.1 million Muslims live, more than 1000 mosques have been built in every part of the country, more than 700 Islamic schools (madrasah) are educating Muslim children and adults, where large gatherings on Islam, Qur’an and Prophet Muhammad (peace be upon him) are freely and publicly held, and where every day several non-Muslim ‘Canadians embrace Islam. Muslims have complete freedom to practice Islam in Canada. Therefore, any attack on Canada will be an attack on the freedom of Canadian Muslims. It is the duty of every Canadian Muslim to safeguard Canada. May Allah save Canada and the entire world from the evil ISIS/ISIL and other of wrong doers. Ameen. We pray for peace and justice for every human on this planet. And on us is nothing but to convey/deliver.